When traveling within NYC for business, corporate executives rely on Bermuda Limousine International to deliver a consistent and reliable corporate transportation service. Our experienced and knowledgeable chauffeurs can drive you safely and swiftly to your final destination in one of our luxurious vehicles. Bermuda has one of the most advanced operations that track every aspect of weather, traffic, construction, and mostly importantly our fleet to ensure proper navigation an communication with our chauffeurs at all times. 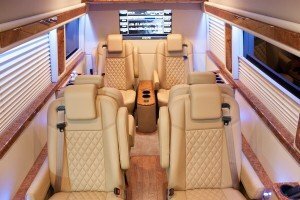 With over 75 years in the corporate transportation business, no other company has the experience and the reputation for delivering an exceptional level of service than Bermuda Limousine International. We have access to the greatest network of luxury vehicles to service our corporate clients anywhere they travel. To ensure consistent and professional service, we do periodic sight inspections on our network providers to ensure that they maintain our service standards. So whether you are in New York City, Chicago, Boston, Los Angeles, Las Vegas, Dallas, Miami, or Washington D.C. we are readily available to service your corporate transportation needs.